Overview: Covers the activity undertaken in different types of organizations where professional trainers are commissioned to teach employees the procedures they should follow in case of an emergency. Overview: Fire Extinguisher training will ensure that you and your employees are suitably trained in the safe use of Fire Extinguishers, Fire Hose Reels and Fire Blankets. Overview: All workplaces must have documented procedures for the performance of all assessed tasks that have a high likelihood of causing harm or injury to a person performing the task. This course aims to ensure you understand your legal obligations with regard to SWMS including penalties for non-compliance, and understand the information to be contained with the SMWS, and who is responsible for completing them. Overview: This course is designed to provide you suitable awareness of asbestos products and the hazards and risks associated with their fibres. You will learn how to identify asbestos containing material (ACM), the appropriate risk control measures including appropriate PPE types and knowledge on management and disposal of ACM. Overview: This session provides information by talking to others and sharing WHS problems.  WorkSafe Tasmania facilitates two meetings a year, and members are encouraged to organise their own meetings and catch ups - online or face-to-face. Overview: This unit covers the identification of hazards, the assessment of risk, the identification of unacceptable risk and the determination, preparation and completion of a course of action. Overview: This course covers WHS workplace documents and addresses issues such as manual handling, noise, lead, mould, PPE and emergency procedures. Overview: This course is designed to engage and challenge our attendees to enable them to return to their workplace with a better understanding of their personal responsibilities in the modern work environment, as well as provide them with the physical skill set to identify and use a wide range of control measures to prevent accidents in the workplace. Overview: The aim of this training is to provide constructions site supervisors/managers with sufficient information and knowledge to ensure scaffolding erected by contractors on site complies with relevant standards, to manage risks and inspect equipment. Overview: You will learn how to use the Master Builders Site Safety Plan effectively to meet your legislative requirements as a principal contractors. NOTE: Course costs cover all resources and follow up visit. Pre-requisite - you will need basic computer skills to be able to modify your SMP. This training is available to members only and requires booking.